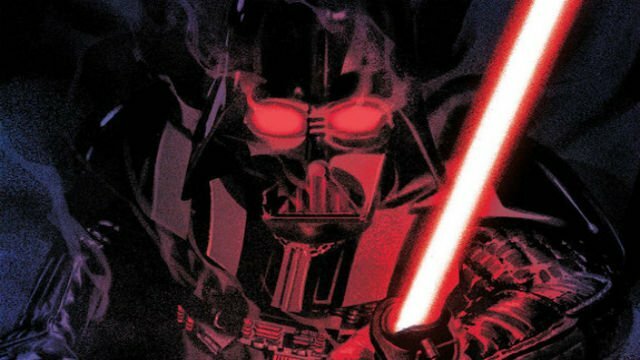 Last month, Marvel pulled writer Chuck Wendig’s upcoming Star Wars: Shadow of Vader miniseries from its list of January solicitations. Wendig was previously fired by the company due to his use of vulgarity on social media when commenting on political matters. The publisher didn’t officially state whether the book would ever hit comic book stores. But today, they confirmed that the series has been permanently shelved. Wendig had already completed work on three of Shadow of Vader’s five issues at the time of his firing. The series was announced at this year’s New York Comic-Con and purported to be a character study of the Dark Lord of the Sith viewed through the eyes of a random assortment of background figures. It would also revisit characters introduced in Wendig’s Aftermath novels, which were set between Return of the Jedi and The Force Awakens. According to Wendig, Shadow of Vader would have featured artwork by Juanan Ramirez and Greg Smallwood. Smallwood penciled the cover for the series’ first issue, pictured above. Both artists have yet to issue statements about the book’s cancellation. What are your thoughts on Marvel cancelling Star Wars: Shadow of Vader? Give us your impressions in the comment section below.